Proudly Servicing the Tri-County Metro Detroit Area in Macomb, Oakland and Wayne Counties! For over 45 years, the professionals at Heaney Plumbing & Heating have been serving the Heating Repair needs of both residents and business owners in the Saint Clair Shores area. Due to our commitment to professional workmanship and excellent customer service, we are proud members of the Better Business Bureau. Our technicians are all certified and expertly trained, qualifying us to handle any job - big or small. We have over 45 years experience in all things heating repair related. We provide financing options to better suit your needs and budget! Whether your water heater needs a quick repair or you need a brand new heating system, Heaney Plumbing & Heating has you covered. 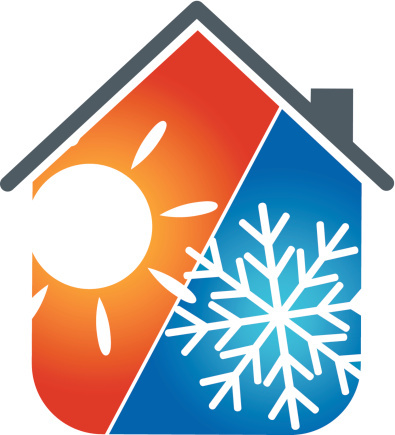 We're here to provide you with quick, efficient, and affordable repairs so that you can have your home feeling toasty in no time! Our certified technicians can quickly diagnose your problem and offer you a cost-efficient solution on any make or model of furnace. If you would like to upgrade your current heating system, we provide free consultations and a thorough assessment of your home so we can help you find the perfect heating system---all with no obligation. For decades, Heany Plumbing has strived to provide quick and affordable repairs on various makes and models of furnaces and boilers. Our expertly trained heating specialists have years of experience providing reliable heating repair services in the Saint Clair Shores area. We also specialize in providing heating services and emergency repairs for all makes and models of water heaters...just give us a call! Our highly skilled staff is dedicated to provide the top customer service, and we get the work done right the first time! Air Conditioning & HVAC Services You Can Trust! Are you looking for a credible company to provide you with the perfect air conditioning service for your property and budget? Welcome to the right place. With decades of experience performing professional air conditioning services and repair services, we are Michigan's #1 choice. Our specialists understand that as energy costs continue to rise, the demand for advanced energy efficient units also rises. You can put your trust in Heany Plumbing to properly install, replace, or provide maintenance services on your air conditioning system to ensure you stay cool for the warm seasons! With over 45 years of experience, the professionals at Heaney Plumbing & Heating can handle anything from an AC tune-up to urgent repairs. When your cooling system is on the fritz, don't let it leave you sweating! We're on hand to perform efficient repairs, making sure your equipment is functioning effectively. We provide free estimates on new equipment installations and can install any make or model of AC unit. Our dedication to superior service, combined with our cost-efficient solutions, make us Metro Detroit's leading choice for all your Heating Repair needs. Stay comfortable this season and contact us today! Fill out the information below and someone from our team will get back to you shortly. We believe that every home or business should be able to afford quality plumbing and/or HVAC services. Our financing options allow for just that! All credit card purchases are subject to a 3.75% service charge. The contents of this webpage are Copyright © 2019 Heaney Plumbing & Heating. All Rights Reserved.